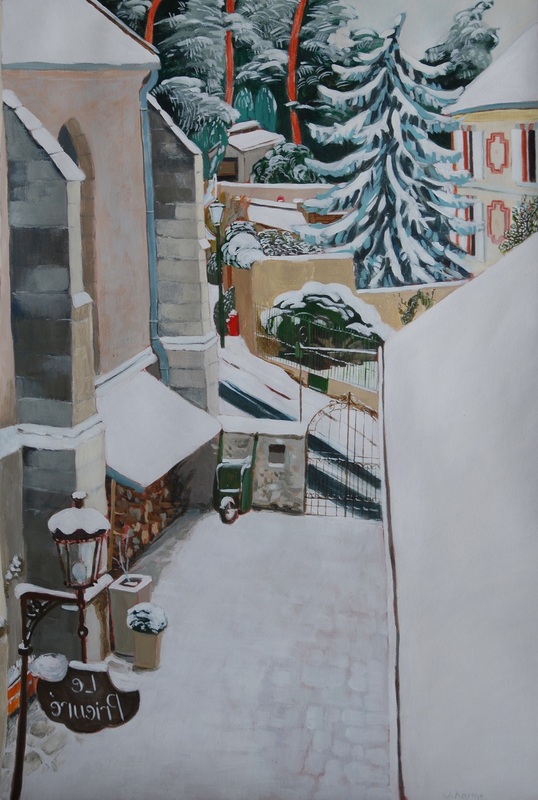 The Prieuré Under The Snow 2010 | J.Harms. The Prieuré under the snow (2010). At the back, the maritime pines, guardians of the cemetery. Children shouting during their mid-morning break in the nearby schoolyard. The bells of Saint-Martin church.